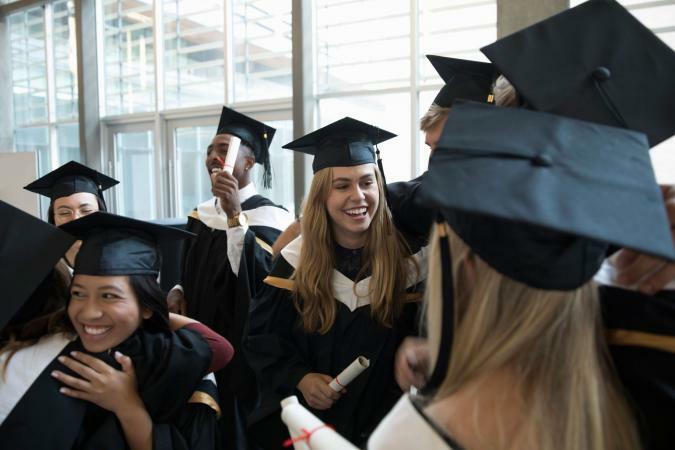 If you're about to graduate, deciding on the best nursing jobs is about assessing your personal goals and determining what you want from a nursing career. There are a few jobs that stand out as the best, according to nurses already in the field. No matter which way you plan to take your career, consider these options before making that important decision. Hospitals have a big demand for LPNs and RNs. Nancy Congleton, RN, is a 15-year nursing veteran and author of Autopsy of the NP: Dissecting the Nursing Profession Piece by Piece. She believes this is the best option for a new nursing grad. "This area of nursing is really hard work," she says, "but it provides a great foundation. Some of the strongest nurses I know started in this area." Hospital nursing offers greater access to cutting-edge technology and procedures, as well as hands-on patient care experience. New nurses "...will receive tons of experience starting and maintaining IV's, inserting and managing urinary catheters, and assessing wounds and doing dressing changes, to name a few," Nancy says. The wider range of illnesses you'll find in a hospital will expand a new grad's skill and ability to nurse. Nancy shares that, "They will take care of medical patients, such as those with pneumonia and congestive heart failure; and, they will learn how to care for surgical patients, like those who've had their appendix or gallbladder removed." Nancy points out one very important consideration for taking a nursing position in a hospital - planning your career path. "During my 15 years of practice," she explains, "I've come across many positions that want a nurse to have medical/surgical or floor experience before applying for a higher position." Hospital work allows you to add this important skill to your resume. In addition, working in a hospital will expose you to greater opportunities, such as participating in various teams, that can help you decide if you wish to pursue a specialty. According to Nancy, a nursing position with a nursing home may be the ideal job for a new grad. 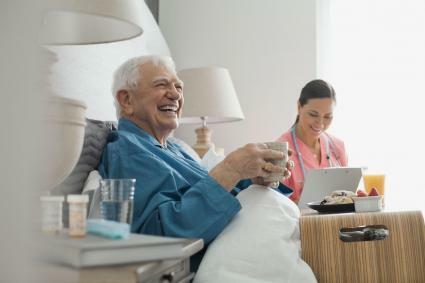 Her insights about what skills you can expect to hone while working in a nursing home environment should be helpful in deciding if this is the job for you. Both LPN and RN new grads are hired by nursing homes, but this is an especially great opportunity for LPNs. Nancy explains, "Typically, they [nursing homes] staff more LPNs than RNs, since this is not a critical care setting." Nancy stresses that a nursing home offers a chance to gain long-term experience with patient care, through a variety of activities. "Nurses help with medication administration, encourage ambulation, and monitor the patient's overall health for any changes or decline," she says. She adds that the skills a grad will use and hone will prove invaluable to her/his knowledge base and career progression. As a new registered nurse (RN) graduate, you may want to consider a graduate nurse residency program as a good transition into practice. These programs, which often last around 12 months, offer new nurses job experience and mentorship. Nancy feels these programs will greatly increase the success rate of new nurses and the chance that they will become long-term employees. 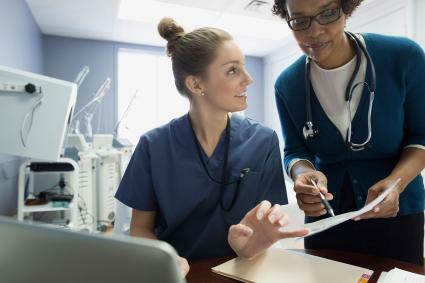 According to the North Carolina Medical Journal (NCMJ), one of the biggest challenges of a hospital environment is finding an experienced mentor or coach for a new nurse grad. A residency program helps solve this problem. Nancy recalls, "I had good mentors at the hospital. Some of them worked me really hard, but they answered all my questions and were careful to not let me get in over my head." Nancy believes hospitals participating in residency programs also greatly benefit, since the new nurses learn critical thinking before they ever step onto the floor. "I love this!" she says, explaining that their critical thinking skills will be more honed and their coping mechanism will be better, since they've been prepared for specific challenges. The stress level for a new nurse grad will also be less than a new grad who hasn't participated in such a program. 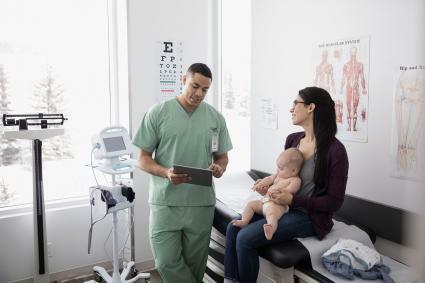 Some recent grads consider going to work in a private physician practice, but Nancy notes that "Many physicians that hire RN case managers want them to have previous experience; therefore, for most physician offices, this would not be an option for a new grad." She also feels it isn't the ideal fit for most new grads. Nancy notes that this type of position may be light on hands-on experience and mentoring. She explains that were a physician to hire a new nursing grad, in all probability the grad would be the only nurse in the practice with no one to serve as a mentor. 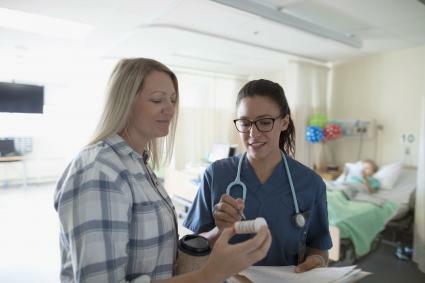 It takes a little time to explore the best nursing jobs for new grads, but it's well-spent since it can help you find the right career path. Weigh your options against your ideals. Take advantage of the experience and advice from career experts like Nancy Congleton, RN. Her insight can save you from making costly mistakes in those choices and set you on a path where you'll flourish in a new career as a nurse.